The Limited Edition Soft Gold Boho Earrings are a soft gold with gold metallic thread woven through. These are seriously, amazingly beautiful! Pictures just don’t seem to do it justice. I’ll get some video up soon to show you just how amazing these look! Crochet of 88% cotton with a metallic thread weaved through. 14K Gold Filled earring hooks (Not gold-plated. Much higher quality. Will not discolor skin like cheaper metals.) Nickel free. 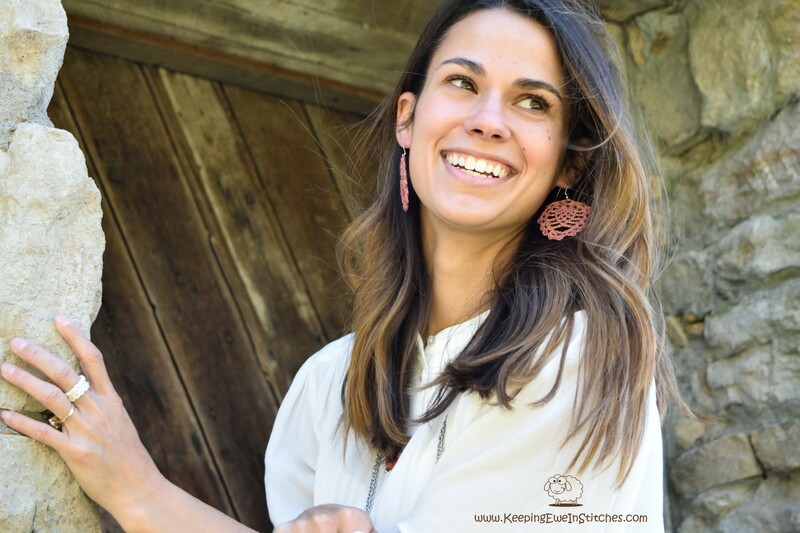 The Soft Gold Boho Earrings are light and flexible. You will barely feel them as you go about your day. Looking great and not feeling weighed down? What more can you ask for? Crochet of 88% cotton with a metallic thread weaved through. 14K Gold Filled earring hooks (Not gold plated. Much higher quality. Will not discolor skin like cheaper metals.) Nickel free.